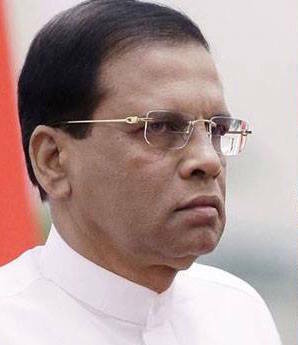 President Maithripala Sirisena stormed out of a Cabinet Meeting this morning claiming that he ‘cannot run the government’ (mata aanduva karanna behe). 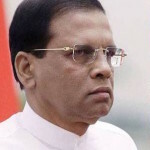 The President had lamented that he is being attacked from all sides, claiming that the website Lankaenews sling mud at him because advertising has not been given, that he has been called a pickpocket (obviously referring to a speech by Colombo District UNP MP S.M. Marikar who called him ‘Pickpocket President’) and that he’s also being ridiculed on Facebook. After he stormed out, Prime Minister Ranil Wickremesinghe and a few others including Malik Samarawickrama, Akila Viraj Kariyawasam and Kabir Hashim had followed the President to convince him to return, Colombo Telegraph learns. Following a discussion that went on for about an hour where SLFP ministers such as Mahinda Samarasinghe, Duminda Dissanayake and Mahinda Amaraweera also took part the President had agreed to return. The President had remained silent throughout the rest of the proceedings. Colombo Telegraph reliably learns that it is the President’s practice to have breakfast with his son Daham who updates his father about comments on social media. Reference to several adverse comments and news stories is supposed to have irked the President and pushed him to throw a tantrum at the Cabinet Meeting. Colonization Schemes: What Did The B-C Pact Say?